Give us a call in Saxapahaw (336.525.2092), Chapel Hill (919.316.0468) or email us at leftbankbutchery@gmail.com to talk over all our options! 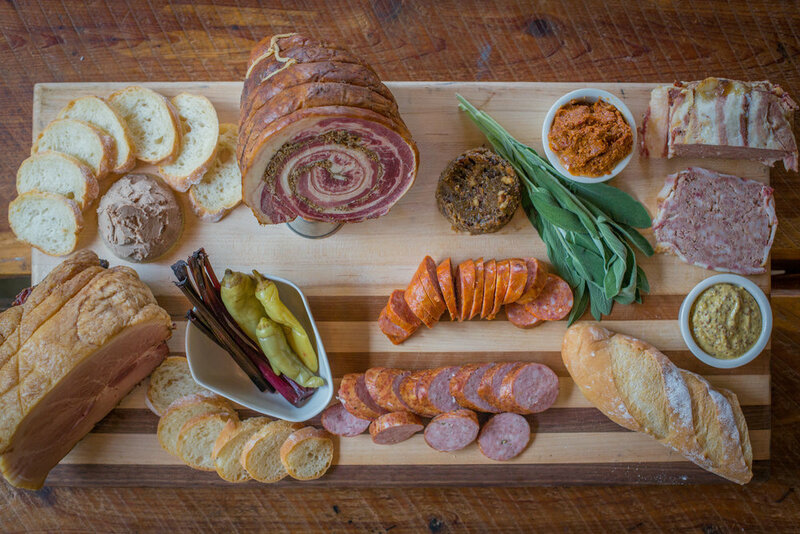 We can provide an assortment of Left Bank Butchery’s house-made charcuterie. If you would like, we can also add artisan cheeses, pickled vegetables, mustard & fresh bread from Village Bakehouse (in Saxapahaw) or Chicken Bridge Bakery and Weaver St Market (in Chapel Hill). All orders can be customized and price will vary to accommodate your needs. *All items are dependent on what we have in stock. Please give 24 hours notice for large orders.